We have good news for fans of smartphones from Bluboo and for people who can not wait for the new Bluboo Maya Max (including us). Bluboo team has announced that the presale for their Maya Max model is going to start from August 17 th . It’s going to run until August 31 st and as usual the price will be gradually rising. As it’s revealed previously that the presale price for Maya Max will be $159.99. But this is not the end of the revelations. There will be a flash sale event for Maya Max so that you will have a chance to get the device for just 139.99$ which is 40$ less than the original retail price. The flash sale promotion will be available from August 17th to 20th. 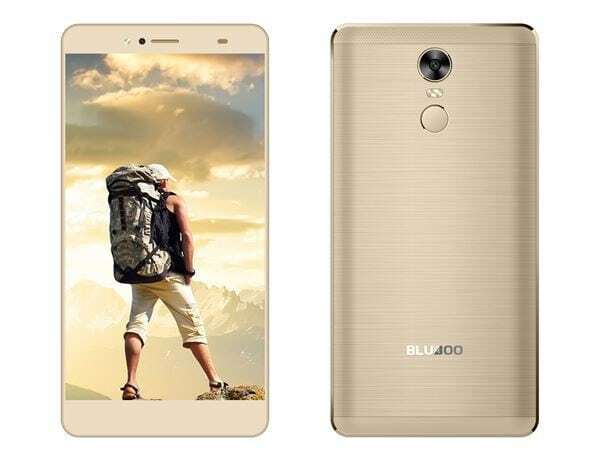 So if you want even cheaper to buy Bluboo Maya Max we advise you to hurry! Also there will be a giveaway that one will have a chance to get fully refunded. Rules are quite simple: upload the screenshot of the order information for purchasing any of Bluboo devices, meanwhile, leave the purchasing website, order number, and valid mail address information in the comment area. Everyday Bluboo will pick two winners, which is quite tempting. If you have not had a chance to meet specifications May Max, we remind you the most important features. 6.0’’ HD JDI display, MTK6750 Octa-core processor clocked at 1.5 GHz, 3 GB RAM, 32 GB of storage, 13 MPix main camera with Sony IMX214 sensor, 4200 mAh battery capacity with fast charge support, USB Type-C port, rear fingerprint scanner and Android 6.0 Marshmallow. More information about Bluboo Maya Max global presale here.